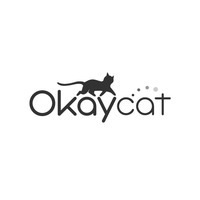 Okaycat designs software & was originally established in Japan in 2006. We are now based in Vancouver, B.C., Canada, developing a range of digital products including fonts, games & more! We at Okaycat believe in creating a revolution in fonts, breaking new ground through innovative design. Our aim is to create beauty everyday through our letter styles, adding a refreshing twist to the world’s daily communications.